Philip Cohen’s research team has made many contributions to our understanding of the role of protein phosphorylation in cell regulation and human disease over the past 45 years. For the last seven years his research has been focused on understanding how the innate immune system is regulated by phosphorylation and ubiquitylation. Sir Philip received BSc and PhD degrees from University College London and held an SRC/NATO postdoctoral fellowship at the University of Washington, Seattle, before joining the University of Dundee, Scotland in 1971, where he has worked ever since. He was a Royal Society Research Professor from 1984 to 2010, Director of the MRC Protein Phosphorylation Unit from 1990 to 2012 and Director of the Scottish Institute for ceLL Signalling (SCILLS) from 2008 to 2012. He was the Co-Director of the Division of Signal Transduction Therapy (DSTT) from 1998 to 2012 and is its Deputy Director from 2012-2016. The DSTT is Europe’s largest collaboration between academia and the pharmaceutical industry. It is widely regarded as a model for productive collaboration between academia and industry, for which it received a Queen’s Anniversary Award for Higher Education in 2006. 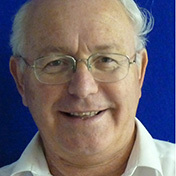 Sir Philip’s major research awards include the Swiss Louis Jeantet Prize for Medicine, the Prix Van Gysel of Belgian Royal Academy of Medicine, the Pfizer Award for Innovative Science in Europe, the Bristol Myers Squibb Distinguished Achievement Award in Metabolic Research and the Rolf Luft Prize of the Karolinka Institute, Sweden. Knighted by the Queen in 1998, he was elected to the Fellowships of the Royal Society of Edinburgh and the Royal Society in 1984, receiving their Royal Medals in 2005 and 2008, respectively. He was made a Foreign Associate of the US National Academy of Sciences in 2008 and in 2013 received the UK Medical Research Council’s Millenium Award.